A strand of 4 mm sterling silver beads is professionally assembled on a 1.5 mm thick Turkish fox-tail chain, the chain our famous tassels are made of. 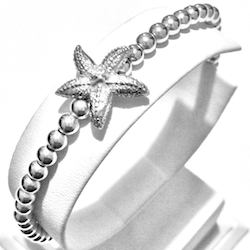 The single sided sterling silver starfish is threaded inline. 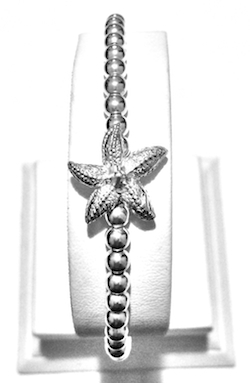 A spring ring clasp ensures secure and firm closure. 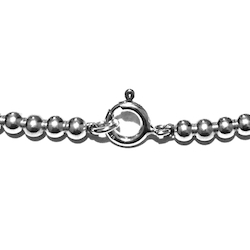 The length is adjustable on demand and you may also choose the clasp type.